LUNENBURG OCEANFRONT ON 20-ACRES. 2BR 2BA. GREAT RATE! Property 4: LUNENBURG OCEANFRONT ON 20-ACRES. 2BR 2BA. GREAT RATE! Property 12: Serenity Cottage borders the beautiful Coveside Stable in Chester. Property 13: DELIGHTFUL WATERFRONT 2BR/2BA HOME IN CHESTER'S BACK HARBOUR W/DOCK. Property 22: CUSTOM LUNENBURG 2BR HOME WITH PRIVATE HILLTOP SETTING, BEACH AND PATHWAY. DELIGHTFUL MARITIME COTTAGE W/OCEANFRONT GAZEBO & LIGHTHOUSE VIEWS. 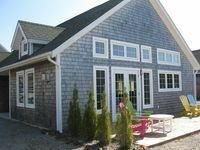 Property 24: DELIGHTFUL MARITIME COTTAGE W/OCEANFRONT GAZEBO & LIGHTHOUSE VIEWS. Property 29: LUNENBURG OCEANFRONT HISTORIC HOME ON 2 ACRES. GREAT PROPERTY AND LOCATION. 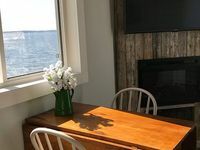 Property 30: WATERFRONT COTTAGE IN LUNENBURG CLOSE TO THE YACHT CLUB. PRIME LOCATION. Property 35: Amazing Ocean-view just steps to Fox Point Beach! 2 Bedroom Bungalow Old Town Lunenburg. Available for winter monthly rentals. Property 41: 2 Bedroom Bungalow Old Town Lunenburg. Available for winter monthly rentals. WATERFRONT SUNSET VIEWS 2 BEDROOM, GREAT LOCATION! Property 45: WATERFRONT SUNSET VIEWS 2 BEDROOM, GREAT LOCATION! Cove's Mooring is the perfect destination for anyone who wants to just sit back, fish, enjoy the beauty of life on a cove. The house is situated across from the private dock where our family loved walking down to fish whenever they felt like it. We were there for Thanksgiving so the foliage was beautiful as well. The house itself is very modern, the kitchen and living room are the perfect combination of state of the art appliances, granite island, comfortable couches and a beautiful gas fireplace. The bedroom and alcove upstairs (perfect for another couple) and 2 bedrooms, 2 bathrooms on main floor. The French doors off the living area offer a stunning view of the cove. We had many nights around the campfire gazing at the stars and a meteor shower and lots of time to just unwind. Lunenburg is aprox. 25 minutes away and well worth the day trip as is Peggy's Cove, Mahone Bay and Halifax/Dartmouth (30-45 minutes away). Favourite restaurants were Gahan House in Halifax and Salt Shaker in Lunenberg. Fabulous home in an unbelieavable setting, we will be back!